To date, the development of the renewable energy sector is one of the most important goals for Ukraine in gaining energy independence. Renewable energy sources in comparison with fossils have many undeniable benefits. This positive impact on the safety of the country's ecology and public health, the practicality of installation, a pleasant appearance, durability in operation and, most importantly, cheapness in the long run. Thus, it is possible to avoid accidents and deaths in mines, oil companies, and also during transportation of fuel, to get rid of harmful emissions that negatively affect not only the health of people, but also the global processes of our planet. It is foolish to ignore these benefits, therefore many industrial and agricultural enterprises, housing and communal services, owners of private houses and even entire cities, such as Kamenets-Podolsky, are working on converting gas boilers to biofuel, installing wind generators and solar panels, many companies have taken reconstruction of long-forgotten hydropower stations. Such trends are very positive, but if we talk about the scale of the country, all we have today is a drop in the bucket. Ukraine has great potential in this sector, rather than many European countries. The highest "green" tariff, the lowest price for connection to the network in Europe, is the most attractive and large-scale territory for the development of absolutely all sources of renewable energy. The obstacle of many projects, more often ideas, is the lack of transparency, search and attraction of financing. The team of "Alternative Energy Week" decided to correct this situation and make its contribution so that you could get acquainted with the full range of possibilities of attracting financing instruments and could choose the most attractive for yourself and your project. 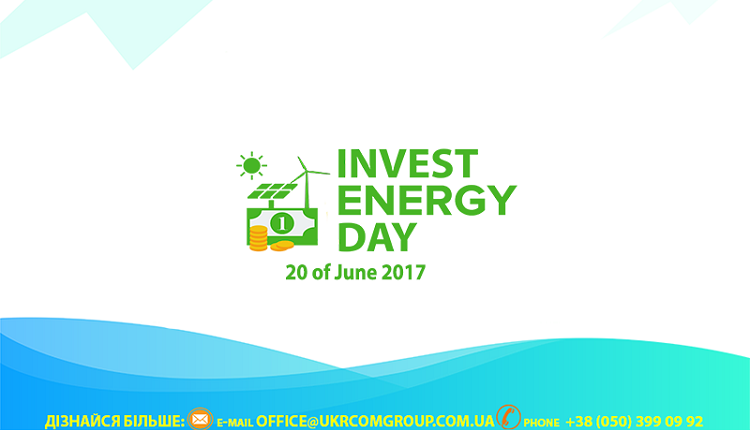 We are creating a new project called "Invest Energy Day". It is the main platform for finding and attracting investments for construction, project development, to start and establish production of any scale of renewable energy projects. Visiting "Invest Energy Day" you will get access to international and domestic banks, financial institutions, investment companies, venture funds, financial donors, grantors and representatives of partner countries with programs for supporting and developing the renewable energy market, energy efficiency and energy efficient construction in Ukraine. And also "Invest Energy Day" is a large amount of new and useful information on attracting investments, new business partners and an excellent opportunity to inspire new, larger projects. Become a part of the future!